Ukiyo-e woodcut printed in colors, a fine, fresh impression of the only known state, the full sheet, printed on Echizen Kozo paper, with margins, hand-signed, dated and numbered in pencil, executed in an edition of 200 (there were also 25 Artist's Proofs), printed by by Tadashi Toda, Kyoto, Japan, published by Crown Point Press, San Francisco, in very fine condition, framed. Sandback, Amy Baker. 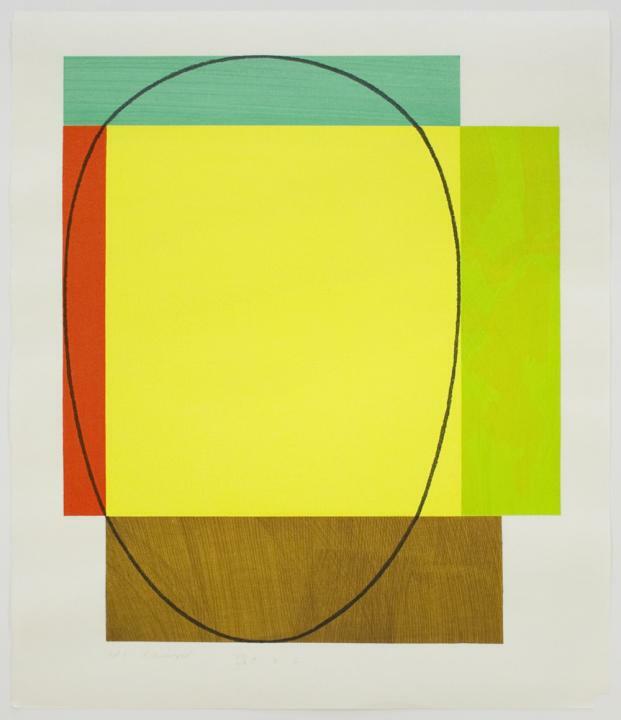 Robert Mangold Prints 1968-1998. 2000, New Yor, Parasol Press, no.22, illustrated (presumably another example).